We have a new and exciting product to add into your bathing area. 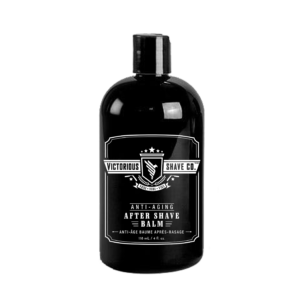 The Victorious Shaving Co.’s body wash and shampoo. It is developed and prototyped with our professionally trained experts in the skincare industry. This body and hair wash is in thick form and has a refreshing smell that will wake you up and keep you keep going throughout the day. This Shampoo is made by using the essential keratine based formula to make your hair shinier and stronger than before. Also, using it regularly gives you a dandruff-free scalp. The most amazing factof using this body wash and shampoo is that it is non-greasy and handcrafted and made from 100% organic ingredients. This distinctive fragrance and energising extract will keep you energetic for the whole long day. We recommend it to be used to daily basis for a dust free and smooth hair experience. First impressions matter, don’t miss out on this one. Go ahead and buy this amazing body and hair wash bottle right away. Not found in stores. Do share your feedback with us after use. I love using Victorious Shaving Co.’s body wash and shampoo. I pour this into my bathtub. It keeps me fragranced and fresh through all day. Victorious shaving hair & body wash is great product i have used so far. It smells wonderful, It has a light, clean smell, and not too perfumy. I have and will continue to buy this product. I have thick curly hair and it works great on my hair. Moreover, it rally soft and it smells great.Work great as a body wash too. I absolutely love this product it’s so great you smell fresh for a long time. The products are really good, I can see changes which other products were not able to provide in a very short time. This body wash is very better then other body washes It moistures my skin very well and it smells really nice i loved these products thanks for providing me a good products. Overall it’s a 5 star product for me. I love using this skincare product really works well for growing hair, shinier and stronger than before. Its refreshing fragrance is very pleasant. Completely non-greasy and handcrafted.